As I am pregnant and having diabetic problem. I thank my ALMIGHTY FOR THIS GREAT MIRACLE. 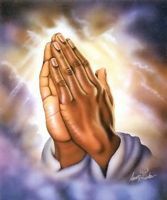 Please keep on praying for me and for my family.